Nykell Whiting is motivated, energetic, and a damn amazing intern that always brings with her an uplifting and positive energy into the gym. Nykell graduated from the University of Utah with a Bachelors degree in Exercise & Sports Science and has an ACSM group certification. She also played soccer for the University until repeated head traumas caused her to retire before her senior year. 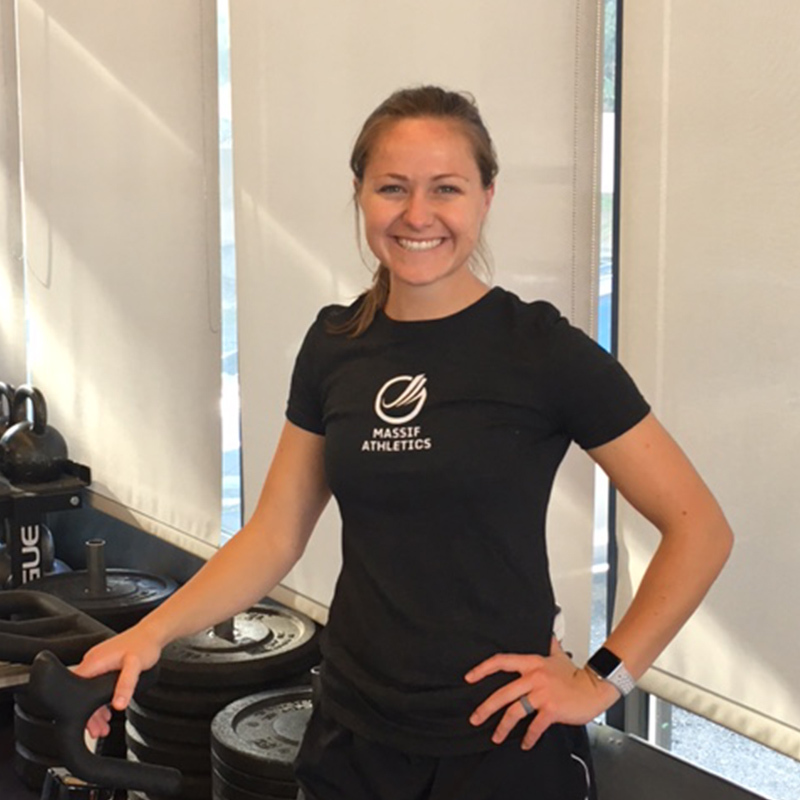 Since retiring from soccer, she has focused her time in fitness where she loves to assist her clients achieve their unique goals. Her favorite thing about her role is the personal relationships she gets to build with each client. She enjoys getting to know and building a strong client-coach relationship with everyone she interacts with. We are excited to have her as a part of our team here at Massif! Nykell co-coaches Fit 4 Life, Kids Camp, and helps with media and the monthly News Letter.